Arsenal lost their two-year grip on the FA Cup this afternoon as they were dumped out at the quarter-final stage by Watford at the Emirates Stadium. Second-half goals from Odion Ighalo and Adlene Guedioura – a ferocious thunderbolt into the top corner – inflicted a 2-1 defeat on the back-to-back winners. Substitute Danny Welbeck netted a late reply for Arsenal, but the Gunners could not grab an equaliser which may have spared Arsene Wenger further criticism. Guedioura could not have hit his rocket any sweeter, but Ospina arguably could have been braver. Had plenty of space to bomb on down the right but did not make the most of it. Inconsistent final ball. 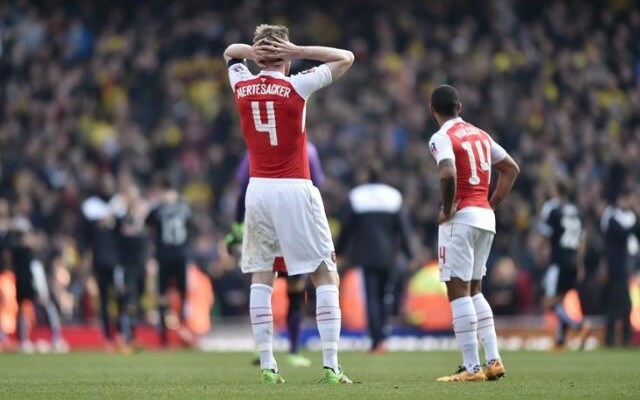 So often the Arsenal scapegoat, but the German was at fault for both of Watford’s goals. Lost a header to Troy Deeney for Ighalo’s opener, and was bullied by the Hornets skipper in the buildup to the second. This is supposed to be Arsenal’s captain, somebody who sets the example. Simply not good enough. Got way too tight to Ighalo, allowing the striker to spin away from him and fire Watford on their way. Also incredibly lucky to be on the pitch at that stage after a pretty horrific tackle on Deeney. Very average. His Euro 2016 place is getting further away with every passing week. Didn’t protect his defence from the Watford counters and offers Arsenal little else. Missed a good first-half chance but at least provided the hosts with some energy in midfield. Had a bright first half and was again unfortunate to be substituted when there were worse performers. A class or two above anybody else in red. Some silky touches, including the delightful back-heel to set up Welbeck’s reply. Was the only Arsenal attacker with any ideas. Cut a very frustrated figure by the end. His poor run of form continued with another toothless display. Some decent dribbles, but did not appear to be on the same wavelength as his teammates, and often held onto the ball for too long. 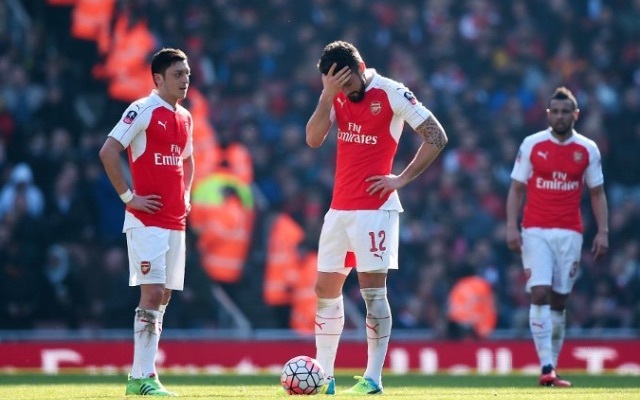 The Frenchman had one of those days, the kind of which Arsenal fans may argue that he has too often. Missed a couple of decent chances after the break. Failed to make the most of Ozil’s service. Came on as part of a Wenger triple change. Had a couple of shots and hit the post in stoppage time. Made an immediate impact as his pace tested the Watford defence. Finished smartly from Ozil’s back-heel for Arsenal’s goal, only to miss an absolute sitter which would have salvaged his side a replay. Made the least impact out of all of the substitutes. His season is faltering at an alarming rate.